The Child and Family EBP Consortium works closely with The Children’s Mental Health Network in developing the Consortium’s track of presentations at the annual Research & Policy Conference for Child, Adolescent, and Young Adult Behavioral Health (aka the Tampa Conference). SAMHSA National Policy Lab Rethinking NREPP- Advocates Pay Attention! Getting a program or therapeutic approach to be recognized as an evidence-based practice on NREPP means that, in effect, you have SAMHSA’s approval that this is a recognized evidence-based practice. Mental health evaluators and program developers across the nation have come to rely on NREPP as a “go to source” when making decisions about which treatment strategies to use in their work. So you can imagine the shock and surprise to program developers across the nation when getting a notice such as this, effectively telling them that the program or therapeutic approach they had been working so hard to get NREPP approval for would now no longer be reviewed. After the notice went out, I began receiving calls and emails asking what the heck was going on. Was this the end of NREPP? Was SAMHSA moving away from evidence-based practice? Recent articles in the news about HHS encouraging the non-use of words such as evidence-based practice, diversity, transgender, etc., have had many in the mental health community on edge. Was this another step in that direction? And most important for program developers in the midst of NREPP review – What would happen to them? Would the reviews of their work continue or would they just stop? What we can glean from this response is that SAMHSA is not moving away from evidence-based practice and programs, but they are most definitely going to reevaluate what that should look like. The SAMHSA representative assured me that the website is not going away anytime soon. However, decisions about the website (what it looks like, what is included, etc.) will be decided by the Policy Lab. At this point, there are no defined timelines for how or when these changes will roll out. Sources informed me (after my conversation with SAMHSA representatives) that the NREPP website has been “frozen” since September 2017. Between then and now, close to ninety programs that have been reviewed and rated are not being allowed to be posted. I have not been able to independently verify this, but if it is accurate, it is chilling. Why would the website be frozen? What does that mean for the programs that have been reviewed and rated and are awaiting inclusion in the registry since September 2017? First, let’s revisit history. Way back in 2013, when then-Representative Tim Murphy was leading the charge to get the Helping Families in Mental Health Crisis Act through the House, he led a sustained campaign railing against SAMHSA, and specifically then Administrator, Pamela Hyde, for what he perceived as SAMHSA’s focus on soft science. The horrible massacre at Sandy Hook had sparked justified outrage and many questions about the state of the mental health system in America. Murphy seized on this, and suddenly the conversation about mental health was centered around a fuzzy, and oft ill-informed notion, of young adult mentally ill individuals who were a danger to society. The mantra became one that was continually drilled into the psyche of America, through a barrage of news editorials, that SAMHSA, as the lead mental health agency in Federal government, was overly focused on peer recovery programs and not nearly focused enough on “evidence-based” programs for addressing the treatment needs of the seriously mentally ill. At various congressional briefings, members of Murphy’s committee would openly disparage “feel good” programs, and were constantly berating Administrator Hyde for squandering money on various expenditures, often using out-of-context examples. Did some of Murphy’s ire about perceived lack of focus on the seriously mentally ill merit attention? Of course. But the wholesale lumping of SAMHSA efforts to promote peer to peer support into a category of “wasteful” and “non-scientific” was the kind of us “good versus bad” debate that short-changed both sides and led to an “us against them” atmosphere among mental health advocates. And as we know, a divided community is a weakened community. In a shrewd maneuver, amidst all of the public flame-throwing about guns, violence, mental illness and the need for more psychiatric beds, Murphy and his colleagues inserted three proposed structural changes to SAMHSA that would have an important impact on how SAMHSA would approach defining the criteria for evidence-based practice that would be used to award grants. As the openly public feud between Representative Murphy and Administrator Hyde continued, and it was clear that Administrator Hyde could give as good as she could take, the Murphy camp came up with a novel idea. Instead of spending energy on forcing Administrator Hyde to give the information they wanted or to force her out of her position, why not just create a position above her which would effectively subsume her role, making her position obsolete? Promoting the idea of an Assistant Secretary position that could coordinate efforts across federal agencies, while at the same time making the current Administrator position obsolete was a controversial stroke of pure genius. And who could argue with the expressed desire to better coordinate a federal approach to mental health and substance use across agencies? In August 2017, as a result of the passage of the CURES Act, Dr. Elinore McCantz-Katz was appointed Assistant Secretary for Mental Health and Substance Use. But Murphy and his colleagues did not stop there. In addition to the proposal of the Assistant Secretary position, they added the Interdepartmental Serious Mental Illness Coordinating Committee (ISMICC) and the National Mental Health and Substance Use Policy Lab (Policy Lab), further cementing significant structural changes to the way SAMHSA did its work, infusing congressional oversight into the management of SAMHSA work (in the case of the ISMICC), in ways that had not been done before. Both the ISMICC and the Policy Lab were adopted as part of the CURES Act. All three of these structural changes to SAMHSA were conceived during a time of vitriol and polarization about what defined evidence-based practice, pitting advocates against advocates, and a congressional committee against SAMHSA. The big loser in all of the fighting was peer support, prevention services, and viewing evidence-based practice through a cultural lens. Peer support was routinely dragged through the mud, often with derogatory terms used to describe the practice, and prevention was a mere afterthought in discussions. Cultural context discussions about what worked best for different populations (i.e., practice-based evidence) was rarely, if at all, even discussed. And all three entities, in various ways, will have an important say in what defines evidence-based practice for SAMHSA. The Interdepartmental Serious Mental Illness Coordinating Committee (ISMICC) was created to “report to Congress and federal agencies on issues related to serious mental illness (SMI) and serious emotional disturbance (SED).” A key component of their work is the charge to make “specific recommendations for actions that agencies can take to better coordinate the administration of mental health services for adults with SMI and children with SED.” The committee was formed several months ago and has provided a preliminary report outlining their work plan for the near future. So let’s put it all together. The three prominent structural changes given to us via the CURES Act were the Assistant Secretary position, the ISMICC, which reports to Congress, and the Policy Lab. And the Policy Lab is a gateway to awarding grants, which makes its role as overseer of the government understanding of what defines evidence-based practice immensely important to researchers, practitioners and advocates alike. Given that the Policy Lab, with its oversight of what will become SAMHSA’s guidance around evidence-based practice, will help drive grant award decisions, it should be one of the most important components of SAMHSA for us to pay attention to. We need to ensure that SAMHSA frames a comprehensive and culturally inclusive view of what encompasses an evidence-based practice and practice-based evidence approach. But let’s not forget the ISMICC and the Assistant Secretary, who are also critically important to shaping the SAMHSA worldview about evidence-based practice. We must share our thoughts and ideas with them as well. Encourage the Policy Lab to focus on understanding how the biomedical, public health, and social science evaluation fields interpret the meaning of evidence, and of evidence-based programs and practices specifically. This will begin an important dialogue around how to best examine research on culturally informed behavioral health interventions. There are likely studies being conducted on culturally responsive approaches that may not have the typical robust randomized control trials but are nevertheless thought to be effective by those giving and receiving services in the community. We need to encourage closer attention to these kinds of studies if we are going to be truly inclusive in our approach to meeting the mental health needs of the mosaic of constituencies across America. Encourage the Policy Lab to learn more about how different stakeholder groups understand the ideas of evidence-based practices and their implementation. Dig deep into questions about the expectations of policymakers and funders regarding the dissemination of specific evidence-based practices. Do communities have a realistic capacity to adopt evidence-based practices? Are certain evidence-based practices being over-promised as solutions to poor quality behavioral health services? Encourage the Policy Lab to share evidence about programs and practices with end users in a way that is accessible and actionable. The better job that can be done by encouraging the use of promising practices the better. Most important, share your questions and concerns with SAMHSA. Send your emails to NREPP@SAMHSA.hhs.gov. Mark your calendar NOW for all of the upcoming SAMHSA Advisory Committee meetings. Send an email to the appropriate committee and request that a discussion about the Policy Lab and NREPP be included on the agenda. To those program developers and researchers who have written to me and shared your shock and dismay about the sudden announcement of the termination of the NREPP contract, I wish I could give you definitive answers to all of your questions, but the reality appears to be that SAMHSA is still working out the details. Hopefully, the context I have provided will light a fire under your advocacy core and get you involved in sharing your voice! Please continue to send me your questions and concerns about the changes with the NREPP contract. We are in a fluid situation given that SAMHSA is just beginning to provide shape and structure to the Policy Lab. Despite my many concerns about the myriad of ways the focus of the Policy Lab could be steered in a narrow, non-inclusive way, I am hopeful that the coming weeks present an important opportunity for advocates to get involved with SAMHSA, ask a lot of questions (no question is a bad question) and stay vigilant on the importance of a culturally responsive approach to identifying, promoting and cultivating evidence-based practices that are available to all. YOUNGSTOWN, OH – JULY 14: A patient’s window at the Neil Kennedy Recovery Center on July 14, 2017 in Youngstown, Ohio. The Trump administration has abruptly halted work on a highly regarded program to help physicians, families, state and local government agencies, and others separate effective “evidence-based” treatments for substance abuse and behavioral health problems from worthless interventions. The program, called the National Registry of Evidence-Based Programs and Practices, was launched in 1997 and is run by the Substance Abuse and Mental Health Services Administration. Its website lists 453 programs in behavioral health — aimed at everything from addiction and parenting to HIV prevention, teen depression, and suicide-hotline training — that have been shown, by rigorous outcomes measures, to be effective and not quackery. The most recent were added last September. A recipient shared the email with STAT. The contractor, Development Services Group Inc., of Bethesda, Md., did not reply to a request for comment. A SAMHSA spokesman did not reply to questions sent by phone and email. The agency is part of the Department of Health and Human Services. Despite the inclusion of the phrase “evidence-based,” the statement did not assuage critics’ concerns: The decision to freeze the registry comes as the Trump administration has advised agencies such as the Centers for Disease Control and Prevention to avoid using seven words — including “evidence-based,” “science-based,” “fetus,” and “transgender” — in budget documents and to instead use language that won’t antagonize members of Congress. The coincidence of the “banned words” policy and the decision to freeze the behavioral health registry “should give us pause,” said Rosalyn Bertram of the University of Missouri, Kansas City, an expert on evidence-based practices in the social sciences. Some states have laws requiring that public programs for, say, children and family services use only evidence-based interventions vetted by NREPP. Because NREPP stopped vetting and listing new programs three months ago (90 were reportedly in the pipeline), “there are potentially effective programs that communities need to know about but that are sitting dead in the water,” Bertram said. She and other researchers alarmed by the SAMHSA decision said it suggests that what they described as the administration’s skepticism about scientific evidence has now been extended. Just as mainstream medicine has been embracing an evidence-based approach (testing assumptions that, say, arthroscopic surgery for knee osteoarthritis works) so that patients do not receive useless care, so has behavioral health, which includes mental health as well as things such as parent-child relationships and social functioning. Behavioral health has lagged behind, however, because some of the problems it addresses are partly subjective, making it “easy to convince yourself that something is effective when it’s not,” said Throckmorton. That’s harder to demonstrate for interventions meant to help with parent-child interactions than, say, to treat cancer. Throckmorton said his interest in the field grew from his realization that “change therapy” — to alter people’s sexual orientation — has no scientific basis. By identifying programs whose effectiveness is supported by evidence, the registry “has been a gold seal of approval,” said a physician at a child health program who asked not to be identified because he did not want to jeopardize his SAMHSA funding. And there is considerable work still to be done in spreading evidence-based programs: Only 3 percent of children with problems ranging from attention deficit hyperactivity disorder to disruptive behavior to suicidality receive evidence-based services, he said, partly because scientifically valid programs often have a high price tag. Making it harder for people struggling with addiction and their families to see whether a treatment they’re being offered has been shown to work is especially worrisome, said the physician. “In the midst of an opioid epidemic, they’re suspending work on a registry that tells you this,” he said. Dana Marlowe is a Consortium participant engaged in our study examining evidence based practice in masters level Marriage and Family Therapy programs. 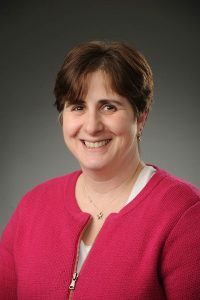 Last week The Washington Post reported that the Trump administration directed several divisions within the Department of Health and Human Services to avoid using a selection of words, including the expression “evidence-based.” Dana Marlowe, Ph.D., a clinical associate professor at the Graduate School of Social Service (GSS) whose teaching and research specializes in evidence-based practice, the move is an overt challenge to hard science. Social workers are already trained to understand that different communities hold different values, she said, and that social workers must effectively communicate research that affects the well-being of their clients. For Marlowe, employing evidence-based practices goes well beyond a theoretical concept, it’s based in part on her experiences in working with pediatric AIDS patients and the aftereffects of the Chernobyl nuclear disaster. As an example, Marlowe pointed to how evacuation data gathered from the tsunami in Japan could help in future large-scale disasters, providing the groundwork for evidence-based practices in evacuations and/or traumas. Marlowe said that the Graduate School of Social Service (GSS) offers courses in evidence-based practices and encourages students to go online to research the model used by their particular program, agency, or nonprofit organizations. She called it a paradigm shift from years ago when social workers only relied on their supervisors to explain appropriate treatments. Today’s social workers are encouraged to respectfully suggest other treatments when the model they’re working in doesn’t apply to a particular client. She is currently working with several other Fordham professors and graduate students to gather information and implement an evidence-based trauma treatment at a group home facility in Queens for young people just getting out of the juvenile justice system. “Basically, every teen in these homes has experienced multiple layers of trauma, from gang violence to domestic abuse to being neglected to witnessing murder—it’s really complex trauma,” she said. She noted that the group home is an example where an evidence-based practice proves invaluable. Marlowe and her Fordham colleagues are conducting surveys over the course of a year to figure out what treatments work best for the population. The researchers’ findings at the Queens’ group home will advance evidence-based practice and add specific treatments and trauma assessment tools, she said. Early in her career, when she was treating children dying of AIDS, she didn’t use evidence-based research. The Trump administration has abruptly cut short grant programs aimed at ending teen pregnancy, leaving the institutions that receive the funds scrambling for answers. An office within the Department of Health and Human Services (HHS) notified 81 institutions across the U.S. that the five-year grants they were awarded would end two years sooner than planned. The Teen Pregnancy Prevention Program (TPPP), a national program created in 2010 under former President Barack Obama, funds organizations working to reduce and prevent teen pregnancy, with a focus on reaching populations with the greatest need. But HHS informed the recipients in their annual grant award letters that programs would end next year rather than in 2020, a cut of about $200 million over two years. The TPPP has funded initiatives in 39 states, including one run by the Baltimore City Health Department. “There was no communication about the reason. The notice of the award just stated that instead of a five-year grant, it is now a three-year grant,” said Baltimore City Health Commissioner Dr. Leana Wen. Baltimore’s program aims to decrease the overall teen birth rate there, which is three times higher than the national average. But the program will now lose $3.5 million in grant funding over two years, meaning 20,000 fewer students will have access to reproductive health education and other services. “We don’t have another way to fill this deficit. This will leave a huge hole in our ability to deliver health education,” she said. Bill Albert, chief program officer at the National Campaign to Prevent Teen and Unplanned Pregnancy in Washington, D.C., said HHS had “offered up very little explanation” for the change. Grantees were told that the administration was looking for something that was a “better fit for its priorities, but those were not specified,” Albert said. Mark Vafiades, a spokesman for HHS’s office of the assistant secretary for health, said the program was cut short because there is little evidence they have had a positive impact. He also noted that the program is not funded in Trump’s budget proposal. “Given the very weak evidence of positive impact of these programs, the Trump administration, in its FY 2018 budget proposal did not recommend continued funding for the [TPPP],” he said in a statement to The Hill. The decision could signal a shift in how the federal government addresses teen pregnancy. Under Obama, HHS approved 44 pregnancy prevention programs to coincide with their grants. Only three were abstinence education programs. But the Trump administration includes influential social conservatives who have supported abstinence-only education, including HHS Secretary Tom Price and Vice President Pence. Valerie Huber, a prominent national abstinence education advocate, was recently named chief of staff to the assistant secretary for health, which oversees the office that manages the Teen Pregnancy Prevention program. Democrats on the Senate Health Committee called the decision to cut the grant period short “highly unusual” and “short-sighted,” especially since Congress has yet to pass a 2018 appropriations bill. If Congress does appropriate the funding for the TPPP in its budget, the administration could make changes to gear the grants toward different types of programs. Now congressional Democrats and state officials are rallying together to protect the program. Both Senate and House Democrats have sent letters to Price asking him to keep the program. Child & Family EBP Consortium note: It can take up to from two to four years to implement program innovations effectively with fidelity.